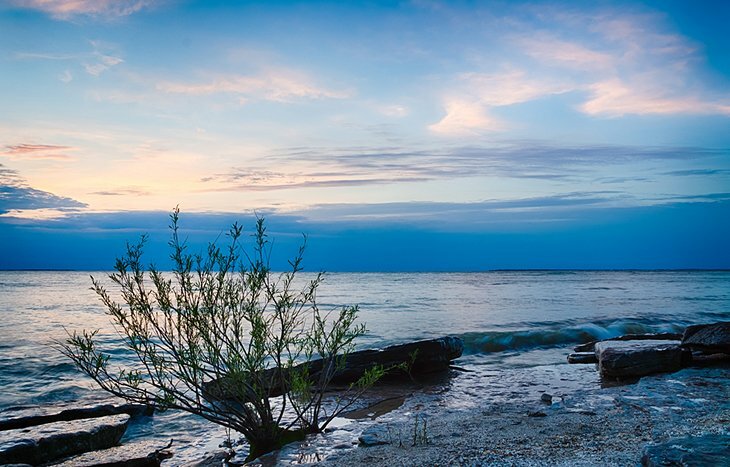 Accessible only by ferry, Kelleys Island is a geologically stunning state park surrounded by Lake Erie that is an ideal destination for both recreation and relaxation. The campground offers electric and non-electric sites, a picnic shelter, volleyball court, and playground. Game rentals are available from the camp office. If you are looking for truly unique lodging, several large yurts are available to rent in the park. Hiking on the island is easy with various lengths of trails. There are four miles of multi-use trails for bicycles. The 100-foot public beach is popular in warmer months. Boating and kayaking are also summer staples. While visiting the island in the summer is ideal, it’s also beautiful during the winter. Weather permitting and with warm layers, visitors to the island can enjoy seasonal ice fishing, ice-skating, and cross-country skiing. The diversity of scenery and wildlife at Deer Creek is what makes it a top state park to visit in Ohio. The landscape around the 2,300-acre park is made up of meadows, woodlands, and an abundance of wildflowers. It’s no wonder that hiking is a main draw, with seven hiking-only trails. The park also has a 17-mile horseback trail. The Deer Creek public golf course is on a challenging 350-acres that features 10 ponds. A nine-hole disc golf course also winds through the scenic grounds. A main draw of this park is the Deer Creek reservoir, which is popular for boating, kayaking, paddle boarding, fishing, and swimming. The large beach has plenty of space, so it is rarely crowded. You will find plenty of grills and picnic tables available. Campsites, cottages, cabins, and a lodge offer a range of rustic to modern accommodations, and two unique campsites accommodate large groups, up to 100 people, as well as equestrians. On the northeastern shores of Lake Erie, Geneva State Park is one of the most convenient for recreational activities since there is so much to do in one location and tourist attractions nearby. 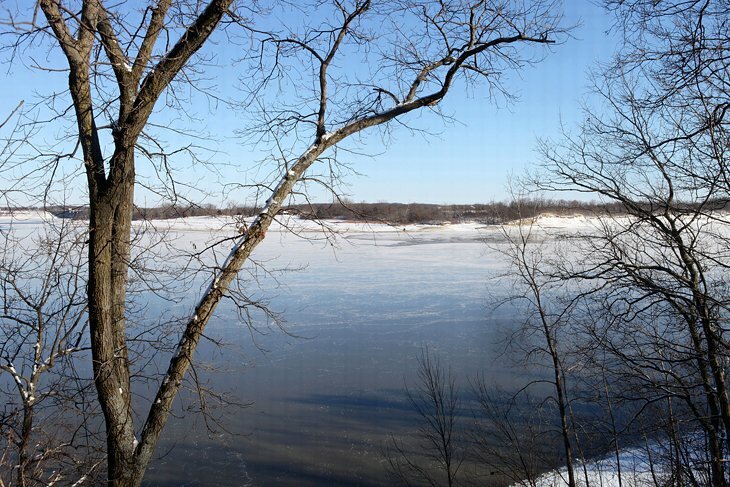 The marina within the state park is a short walk away from most of the lodging, so fishing charters for walleye and perch are easy to book without having far to go. The marina rents paddle boards and jet skis on-site. A six-mile multi-use trail connects all aspects of the park leading to a 300-foot public beach, with lifeguards on duty during peak times. Trails accommodate hiking and biking and become snowmobile and cross-country trails in the winter. Lodging options include a campground, cabins, a lodge, and cottages, all with easy access to the state park. When you need a break from hiking, Geneva on the Lake is a small throwback resort town just down the road that is worth a visit for lunch or dinner. The mile-long strip is packed with old arcades and an eclectic mix of shops, diners, and donut shops that have been around for more than 60 years. The Ohio state park that has some of the most enjoyable opportunities for exploring is Tar Hollow for its winding paths through hills, forests, and steep ravines. This southern Ohio park encompasses the true sense of wilderness with its dense forests. Tar Hollow is best for avid hikers, with most trails averaging several miles. Novice hikers are able to walk the grounds and enjoy the scenery, but it is advisable to pick up a map before committing to a trail. In addition to hiking trails, dedicated bike trails and 25-miles of bridle trails wind through the park. Serious backpackers can take the 21-mile Logan Backpacking Trail for a challenging trek through the forest. Camping for backpackers is available at the Logan Hollow Campground by reservation only. Pine Lake is a small 15-acre lake in the park that is a hidden gem for canoeing, row boating, and kayaking. There is also a beach for swimming. The best time of year to visit Tar Hollow is in the fall, when the dense forest turns into a spectacle of color.